Pastor says he is trusting God will intervene on their behalf. 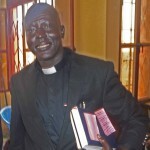 JUBA, South Sudan (Morning Star News) – Sudanese authorities have charged two South Sudanese pastors under laws that call for the death penalty, their attorney said. National Intelligence and Security Services (NISS) officials have charged the Rev. Yat Michael and the Rev. Peter Yein Reith (also transliterated as Peter Yen Reith) with undermining the constitutional system (Article 50 of the Sudan Penal Code) and spying (Article 53) – offenses punishable by death or life imprisonment – and waging war against the state (Article 51), which calls for the death sentence, said the pastors’ attorney. They are also charged with inciting organized forces to complain and assaulting religious beliefs, which call for prison sentences, the attorney said. NISS is manned by hard-line Islamists who are given broad powers to arrest Christians, black Africans, South Sudanese and other people lowly regarded in the country that President Omar al-Bashir has pledged will be fully Arabic and Islamic. The charges appear to be based solely on the two pastors’ nationality, race and faith, sources said. Sudan fought a civil war with south Sudanese from 1983 to 2005, and since June 2011 has been fighting a rebel group in the Nuba Mountains that has its roots in South Sudan, which became a separate country in 2011. 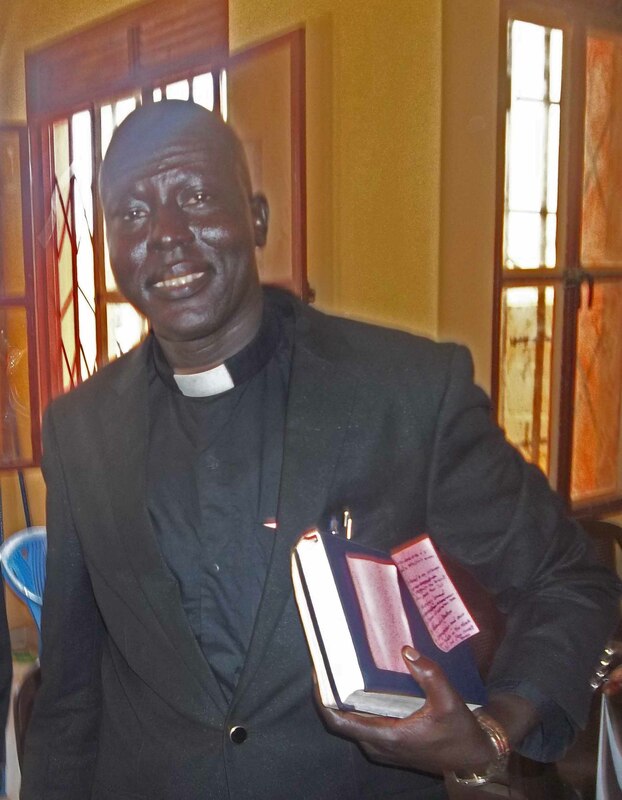 Michael was arrested on Dec. 14, 2014 after visiting a church service in Khartoum, and Reith was arrested on Jan. 11 after submitting a letter from leaders of their denomination, the South Sudan Presbyterian Evangelical Church (SSPEC), inquiring about the whereabouts of Michael. Their location was unknown for months, violating international human rights agreements, but on April 30 they were transferred from Khartoum’s downtown police station to a NISS detention center on Street 51 in Khartoum, Michael’s wife told Morning Star News. On Monday (May 4) they were transferred to Omdurman Prison, she said. Morning Star News managed to speak with Michael on Thursday (May 7). NISS officials have demanded $12,000 from the SSPEC secretary general, the Rev. Philip Akway Obang, for the release of the pastors, sources said. Local church leaders expressed their outrage at the attempt to buy the pastors’ freedom, saying they fear NISS would arrest other Christians and make the same demand in exchange for dropping charges. A NISS officer who identified himself only as Jamal confirmed that the agency had demanded that the pastors pay $6,000 each for the charges to be dropped. The church that Michael had visited and encouraged in December, Khartoum Bahri Evangelical Church, was the subject of government harassment, arrests and demolition of part of its worship center as Muslim investors took it over. NISS officials appear to be determined to punish the pastors for their support of the embattled congregation, sources said. The two pastors began a hunger strike on April 28 to protest their incarceration. The attorney said the charges against them were quietly filed in March, and that they are awaiting a hearing on Thursday (May 14) in Khartoum North. The pastors’ families have waited in agony, not knowing how they have been treated. Amnesty International has said holding the pastors incommunicado violates the Interim Constitution of Sudan, the African Charter on Human and People’s Rights and the International Covenant on Civil and Political Rights, all of which legally bind the Sudanese Government and all its agents. “Holding the detainees incommunicado increases their risk of being subjected to torture or ill treatment and/or enforced disappearance,” Amnesty reported in February. Other Christians in the Bahri congregation have also been arrested. Police in North Khartoum on Dec. 2 beat and arrested 38 Christians from the church that Michael encouraged and fined most of them. They were released later that night. Thanks to Obama Sudan is on a rampage. But Syria is the whipping boy of the leftists. Dear Rev.Peter,and Rev.Michael put your trust on God He will deliver you out of the hands of enermies. “God is always there for you because you are his servants and is ready to safe you”.Remember the song of King David:the Lord is my shepherd, even though I walk in the dark valley I will not fear about Satan the devil.” Just keep praying to the Almighty God and He will help. I will also pray for. Dear All:::::::::::::::::::::::::::::::::::::::::::::::::::::::::::::: We believe what had done by the Northern Sudanese its not good because those pastors were prosecuted not because they have done something wrong never !! I pray and trust in God Almighty that he will release Pastor Michael and Pastor Peter from the hands of the enemy and with God’s strengthening angels continuing protecting and guiding them that no harm shall come upon these God fearing men in Jesus Name Amen. God is watching the devils plan and He will punish those who do wrong things to innocent ones. Pray hard God will free You in this matter. Please bless the Rev. Yat Michael and the Rev. Peter Yein Reith. We pray You protect them and their families, and that they would be released to be reunited with loved ones soon. Please bless Sudan. Please encourage, strengthen and protect Your Church in both South and North Sudan. Please protect and encourage the Rev. Yat Michael and the Rev. Peter Yein Reith. We pray that both South and North Sudan would be healed and saved by Your holy mercy and grace. Please bless all the people. In the Holy Name of Christ.